Garden Clearance Birmingham | Book Online Today ! When it comes to gardens, our garden clearance Birmingham team are able to safely remove all and recycle all types of garden waste. Leaving a garden lot with lots of green waste is not only unsightly but can attract rodents if left for a long period of time. Our garden rubbish clearance experts can deal with all types of garden waste including the clearing of overgrown areas, removing garden sheds, slabs, decking, fencing, unwanted garden furniture, recycling hedge cuttings, tree cuttings and all types of brash. We remove and recycle all green garden waste from residential and commercial properties in Birmingham and all surrounding areas. 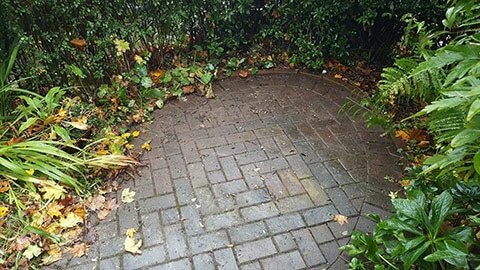 Our garden clearance Birmingham service helps customers get their gardens looking nice and tidy again, by removing any unwanted waste and disposing or recycling it, leaving it nice and safe and rid of any unwanted pests! 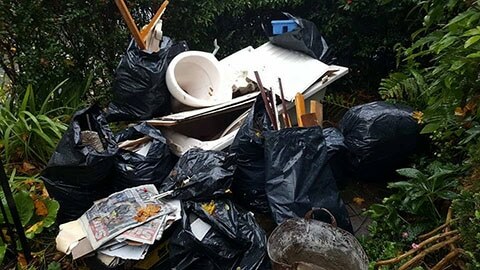 Our Garden clearance Birmingham team carry out many commercial garden waste removals for clients such as estate agents, letting agents and landlords. One of our team members can visit your property often on the same day and provide a free garden clearance quote. If you are looking for a quality, affordable garden waste removal in Birmingham look no further! We are a fully insured rubbish removal company who recycle as much as we possibly can. Very happy with the Get It Tidy Team, turned up when they said and cleared my garden waste in no time at all. 10/10 Thank you very much. Found this service efficient and reliable. Came within a few days of requesting it. Rubbish collected, job done!? ?I will certainly recommend to all.